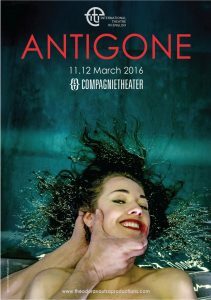 Adaptation of Sophocles’s Antigone under the message ‘Dare to be a Girl’. Original work includes the two videos below, Once Upon a Time and Manifesto, which were part of the play. The play was directed by Theodora Voutsa.